Blackjack | Yes Bingo! - The UK's best online bingo site! 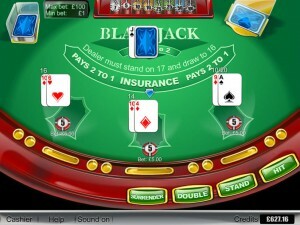 Claim £10 Free No Deposit Bonus. Single Player, Up to 3 bet seats, Dealer stops on all 17′s, Insurance, Surrender, Split once, Double after split.